When Tyler, the Creator debuted the latest range of clothes for his brand Golf Wang in Los Angeles this weekend, he became one in a string of celebrities hoping to cash in on their expertise as designers. Many of those ventures have failed. But not the Olsens. Celebrating their 30th birthdays today, Mary Kate and Ashley Olsen have built a company, Dualstar, that, in 2011, was bringing in over $1 billion in sales and boasts a luxury line, The Row, that sits alongside legacy European luxury labels. But how did these West Coast-based former child actresses rack up three CFDA Awards in the span of ten years before Beyonce and Pharrell received their honorary statuettes? When The Row was founded in 2006, its twin co-creative director and co-chief executives weren’t new to the fashion game. 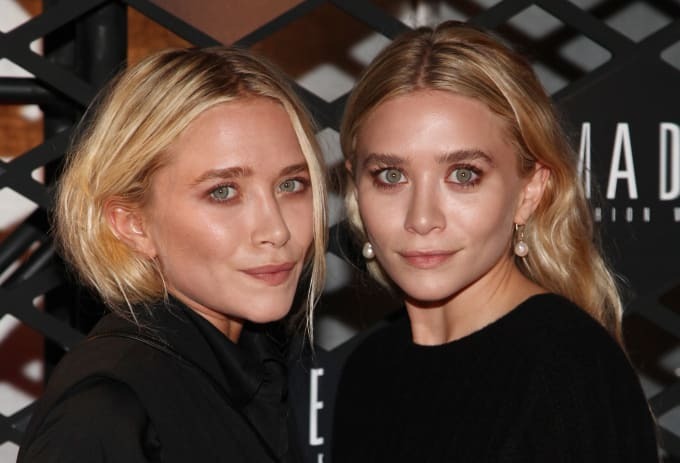 They rose to fame with Full House when they were 9 months old (they swapped out for one another in the same loveable character of Michelle Tanner), and later filmed movies and TV shows like Two of a Kind and So Little Time. The pair had needled out more than just an eye for what they liked. Mary Kate and Ashley understood what made clothes fit; they had been wearing sized-down Armani and Chanel on set, and became intimately aware of how to pull off the perfect cut of clothes. It was there that The Row began. After retiring from acting in 2004, Ashley Olsen embarked on a project to create the perfect T-shirt for The ONE Campaign. That tee was all about fit and material and ended up turning into a seven piece capsule collection created with her sister, that comprised The Row’s debut. Barney’s New York bought the line in full. The success reads more Proenza Schouler than Adam Levine, who hawks his namesake line at Kmart. And it’s for good reason: Prior to The Row, the sisters had manned a collection for Walmart starting at age 12, where they found themselves personally involved with selecting designs. While that line was shuttered (their teen-targeted Olsenboye line at JCPenney seems to occupy the vacancy it left in the market), the business savvy the two learned while building it lives on. It was three years between the launch of The Row and the first interview they gave as designers. Acutely aware of their status as celebrities, Mary Kate and Ashley wanted the line to be taken for its own merit, shying away from endorsing it themselves in any major way and never putting their names on the tags. So, unlike Nicki Minaj or nearly any other celebrity with a clothing label, there were no accompanying Instagram posts when their ranges dropped to clue their fan base in. In fact, the tag for The Row is simply a bar. It’s feasible to believe that some of the line’s longstanding supporters (who are decidedly out of the age range of the teeny boppers they ruled over when they were known for their movie roles) may be unaware of the girls’ history. Contrast this with Kanye West’s approach who made sure his name got top billing on his first fashion show for his original brand DW, or his latest show that showed his wares all staged as part of a listening party for his album. The GOATs that are the Olsens made a clean break while West, with the undeniable influence he has, tried to use his prestige to leverage some credibility. While Ye’s sell-through has been solid, critics haven’t always been kind. The Row now has product in a variety of categories from shoes to bags and apparel. That seven look collection in 2006 turned into a 19-look range for the brand’s first New York Fashion Week show for Fall 2010. According to WWD, last year, industry insiders were estimating that the label was doing $50 million in annual sales, funneled through 188 exclusive stores in over 37 countries, as well as their own flagships in Los Angeles and New York. While pieces like a $39,000 alligator backpack (that sold out) catch headlines, customers return to the brand season after season for their slightly monastic, supremely fabricated, mostly USA-produced staples. But Dualstar isn’t just made up of The Row and Olensboye. As with any pragmatic fashion business, the designers rolled out a contemporary priced line in 2007 under the name of Elizabeth and James. According to WWD, market sources put that business at around $40 to $50 million in wholesale sales. Even with that success, the sisters seemingly weren’t satisfied. Until 2015, the brand, named for Mary Kate and Ashley’s siblings, was operated by a licensee; now, it’s being held closer to the chest. Come July, brand officials have confirmed that a Los Angeles store is set to open in The Grove which will add to the already existing 600 points of distribution. It’s set to only bolster the company&apos;s already fat profits. Mary Kate and Ashley Olsen, of course, aren’t the only celebrities to successfully parlay their success into longstanding bonafide fashion businesses: Victoria Beckham, that little Posh Spice from Harlow, Essex, also has built a respectable company. But the similarities between the two and differences from their contemporaries like Lindsay Lohan (and her failed bid at being a designer) or Justin Timberlake (does William Rast still exist?) is simple: product first. All the rest is smoke and mirrors.